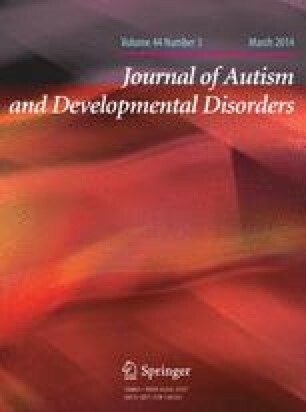 We quantitatively measured the smiles of a child with autism spectrum disorder (ASD-C) using a wearable interface device during animal-assisted activities (AAA) for 7 months, and compared the results with a control of the same age. The participant was a 10-year-old boy with ASD, and a normal healthy boy of the same age was the control. They voluntarily participated in this study. Neither child had difficulty putting on the wearable device. They kept putting on the device comfortably through the entire experiment (duration of a session was about 30–40 min). This study was approved by the Ethical Committee based on the rules established by the Institute for Developmental Research, Aichi Human Service Center. The behavior of the participants during AAA was video-recorded and coded by the medical examiner (ME). In both groups, the smiles recognized by the ME corresponded with the computer-detected smiles. In both groups, positive social behaviors increased when the smiles increased. Also, negative social behaviors decreased when the smiles increased in the (ASD-C). It is suggested that by leading the (ASD-C) into a social environment that may cause smiling, the child’s social positive behaviors may be facilitated and his social negative behaviors may be decreased. We are grateful to the families who gave their time to participate in this study. We are also very grateful to Harumi Kikumoto, and Masakazu Hirokawa, for sharing their work and methods with us. Van den Hout C. M. A., & Bragonje, S. (2010). The effect of equine assisted therapy in children with autism spectrum disorders. Human Movement Sciences: psychomotor therapy. http://www.cdc.gov/ncbddd/autism/documents/AutismCommunityReport.pdf, 20 May 2010. Cowling, A. (2010). The benefits and limitations of pet therapy for people with dementia. Oshkosh Scholar, 5, 82–92. http://minds.wisconsin.edu/bitstream/handle/1793/47690/scholaordoc_2010_Cowling.pdf?sequence=1 December 2010. Welch, K. C. (2012) Physiological signals of autistic children can be useful. IEEE Instrumentation and Measurement Magazine, 28–32. http://lifesicence.ieee.org/images/pdf/042012-autistic.pdf, February 2012.